This week it is hammer drill review time.Bosch's new HDS182 cordless hammer drill comes with the promises ofbrushless technology. Having reviewed tools by the hundreds I knowthat there is more to a tool than a well-built motor. Let's take alook, if all the features of the HDS182 are as advanced as itsmotor, and how all that tech translates into making dust on the jobsite. A friend of mine loaned me his Craftsman BoltOnCordless Drill/Driver for review. At first I thought it wasidentical to the Black&Decker Matrix, a tool I reviewed sixmonths ago. Turns out the BoltOn has a few features that make itthe better tool. Let's take a look at how the Craftsman BoltOnmanaged to improve on the Black&Decker Matrix. The new line of Porter Cable tools tries toimpress on the home center shelves with its angular looks. 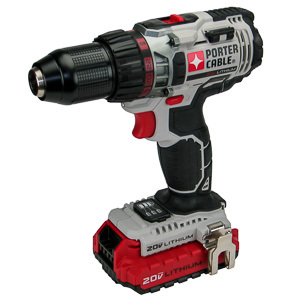 When Ifirst saw the PCCK600LB, Porter Cable's new cordless drill/driver,I was worried the designers chose form over function. Neverallowing an uninformed opinion to stand, I had to get thisdrill/driver into my shop. Let's take a look at what the PorterCable PCCK600LB can do besides look good. It was inevitable that the Bostitch BTC400LBwould find its way into our shop. The promise of a well-pricedpower tool sold at Walmart that also offers good performance wastoo good to pass up. Destined to be a high volume item I feel thatI can help a lot of people by reviewing the BTC400LB. Let's take alook, if this drill/driver is the great deal it is supposed to be,or if the marketing got ahead of the tool's performance. Another week, another L-Boxx to play with. 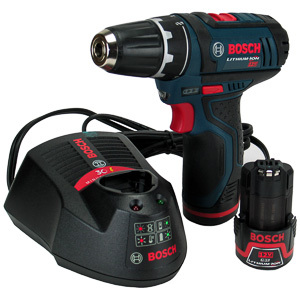 Thistime the treasure contained within turned out to be the PS31, asmall 12V cordless drill/driver from Bosch. Designed forinstallers, product assemblers, and trade professionals the PS31comes with some very promising specs. Let's take look at what thePS31 can do in the Hingmy workshop. A cordless drill spins a drill bit at high speeds. The tip of the drill bit shaves away the material in many small bites. 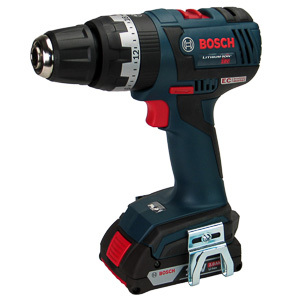 Drills can be used to drive screws, but will not perform as well as a dedicated impact driver. The continuous torque a drill produces will twist the tool out of the hands of the operator as soon as the screw stars to bind. A hammer gear is required for drilling into concrete, stone, and other porous materials. In this mode the drill adds many thousands of little blows to the drilling motion per second. These blows shatter the aggregate in the concrete when the drill bit encounters it. Without this feature drilling into concrete not only slows down, but can outright stop when the drill bit encounters a stone. 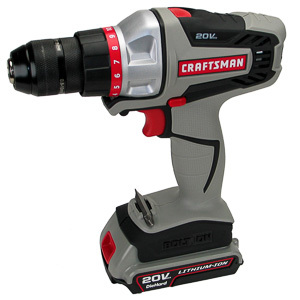 If you want to use your drill to drive screws, you should consider a drill/driver. These tool slow down the motor and increase its torque, which greatly improves the tool's driving performance. The tradeoff is a slower drill. 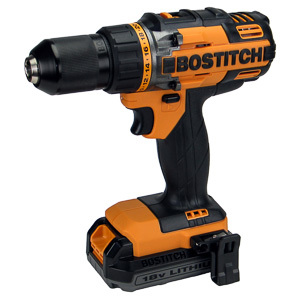 Drill/Drivers are listed in the Impact Driver section. The friction chuck is the default choice. It works best for drilling small holes into wood or plastic. This type of chuck makes changing bits fast and easy. Most importantly, drill bits are cheap and available in every hardware store. The other types of chucks are used for specialty applications. The SDS chuck, for example, secures large, high torque bits. Review the chuck property for more details. All drills have sufficient power to drive drill bits smaller than 1/2" through any type of wood (some will take longer than others). If you require larger holes, look for a model with a higher battery voltage. The voltage of the battery limits how much energy is available to the motor at any given time. Higher battery voltage allows the motor to put more energy into the drill bit. Tools with higher voltage generally drill holes faster. If you plan on drilling concrete, a model with hammer mode is required. Cordless Power tools share their battery with other tools in the same series. Sharing batteries between tools is an economical thing to do. When you purchase your drill consider the other tools in the series. Should you ever need a different tool, it would be best if a tool that matches your drill's battery is on your short list. "A no-compromise drill for the heavy stuff. Metal everywhere and plenty of power. This drill will go all day and last for years. It's heavy. You'll feel it."